It’s been the best-selling passenger car in Canada for the least 20 years, and to celebrate this milestone, Honda is offering a Special Edition variant to the 2018 Civic line-up. The Civic SE rounds up a few appearance, comfort and convenience features at an attractive price, such as 16-inch alloy wheels, a remote engine starter, a leather-wrapped steering wheel, an intelligent key system, a trunklid spoiler and, of course, appropriate badging. It also gets all of the Civic LX’s equipment that includes automatic climate control, heated front seats and a rearview camera. 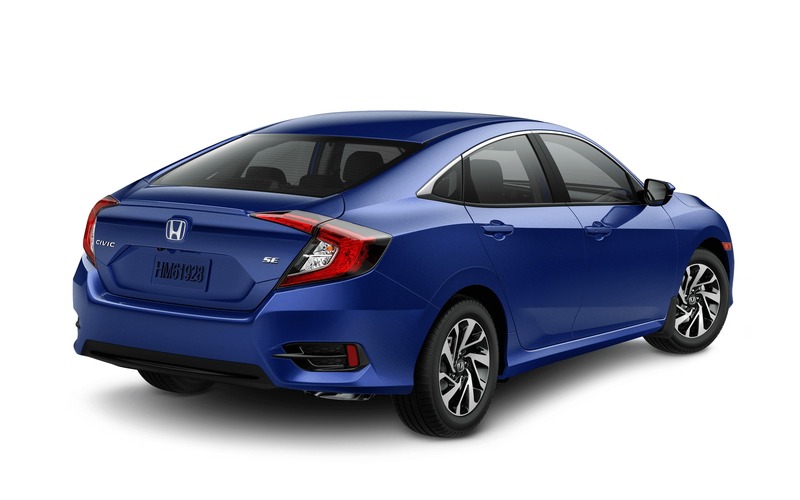 In addition, the Civic SE features the Honda Sensing suite of advanced safety features that consists of adaptive cruise control, forward collision warning with collision mitigation braking, lane departure warning and lane keep assist as well as road departure mitigation. The 2018 Honda Civic Special Edition is positioned between the LX and EX grades. It’s available in sedan configuration only, with a continuously variable automatic transmission, at an MSRP of $22,390 before freight and delivery charges. Truthfully, Honda Canada usually adds a Special Edition trim to most of its model lines as they reach the end of their production cycle. But in this case, the Civic SE seems to arrive early as the current-generation model has been on sale since 2016.